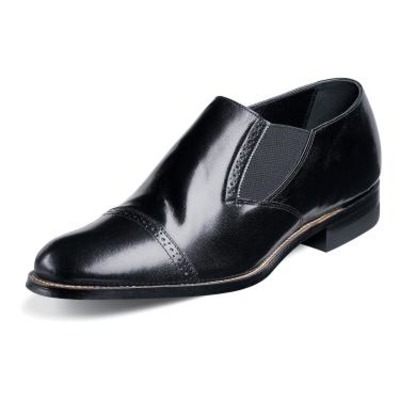 Emphasize a look of refinement in the Madison loafer from Stacy Adams. Stretch side gore panels provide easy entry and professional fit. Smooth leather upper employs a collection of perforated accents to maintain a classy composure.